The Silly BooDilly: Now You're Cooking! 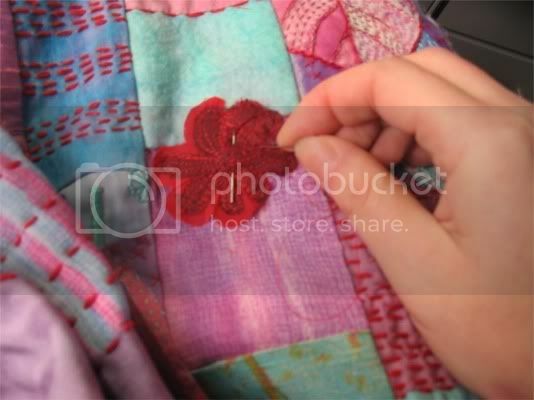 great images, love that knitting chef! They are all adorable. Wish I had that kind of talent! ooo..me too me too! these are fabulous...i used to xerox them and turn them into comics---sometime i'll dig them up and show you! I'd love to see them bonbon! 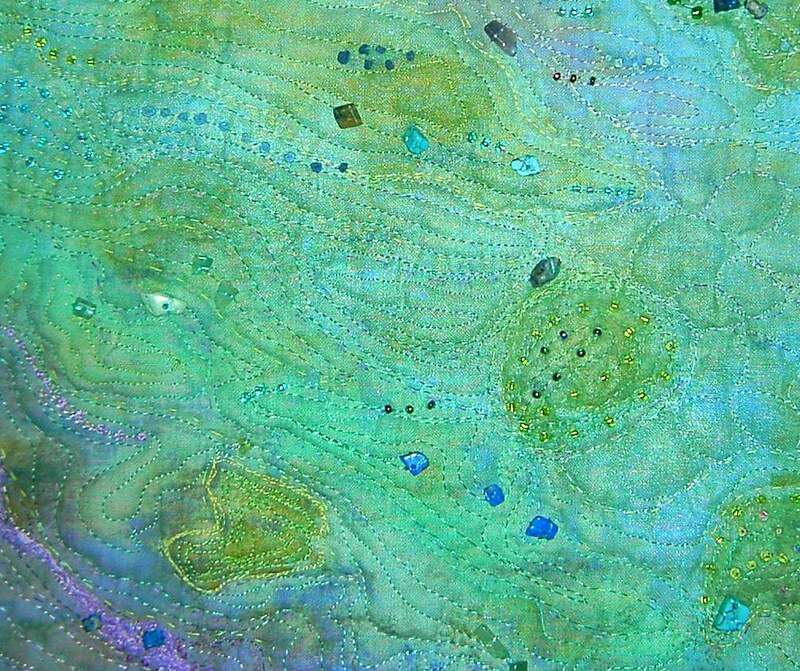 And oh how I wish I could wield a pen with such simple and delightful flourish! i just walked by the culinary arts institute in chicago. 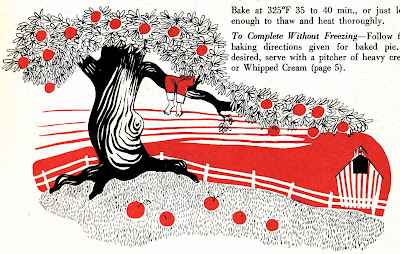 i adore these illustrations. where do you find these? i need to do some looking. 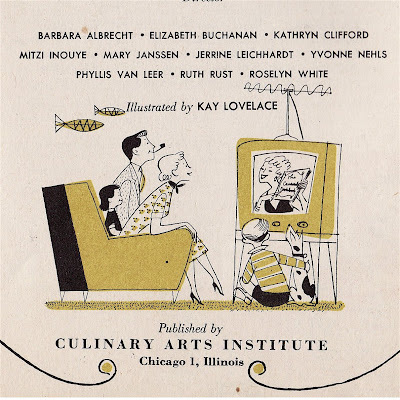 I also like vintage cookbooks, but I am more a fan of the recipes. Especially the ones that use parts of the animal we no longer consider edible! Fascinating! My wife has a blog only about recipes, she really loves cookbooks. Me too becouse I test all the recipes(hahaha). Ha! The knitting ones are funny. Love these illustrations! I'm so over modern, I love everything vintage these days!!! these illustration are rad. 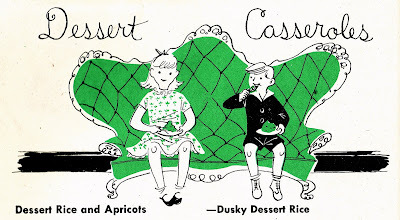 I especially love the couch in the "dessert casseroles" section! 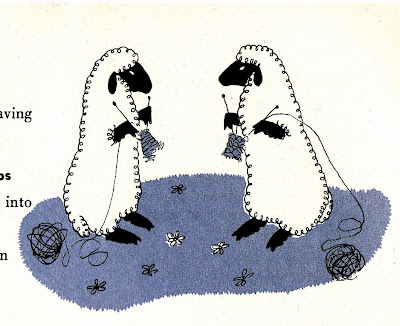 I love the sheep knitting! Great retro images. 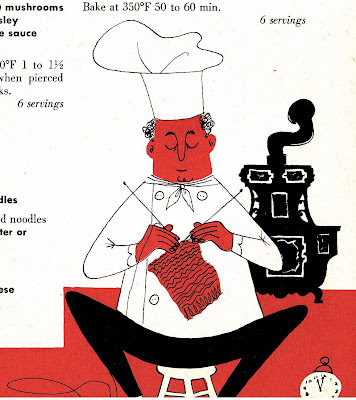 I've got a few of these household manuals from the 50s.I'll never tire of the illustrations.They're so much fun! 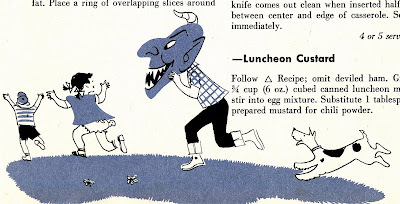 What cookbook are these from? I think my mom may have had this when I was growing up because I remember liking it because of all of the pictures! Delightful! I can see why you like this. 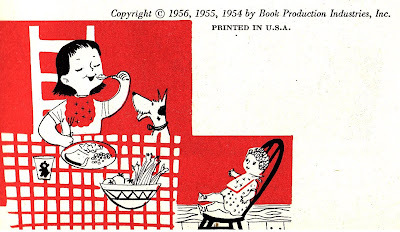 These are so fun - I love vintage illustrations!